We will welcome you with the traditional Slavic drink, mead. Mead, or honey wine, is also called “liquid gold” and is the oldest alcoholic beverage in the human history. It is a natural product and the elixir of strength and youth. Once seated, our hosts will welcome you and will introduce the show in several languages. 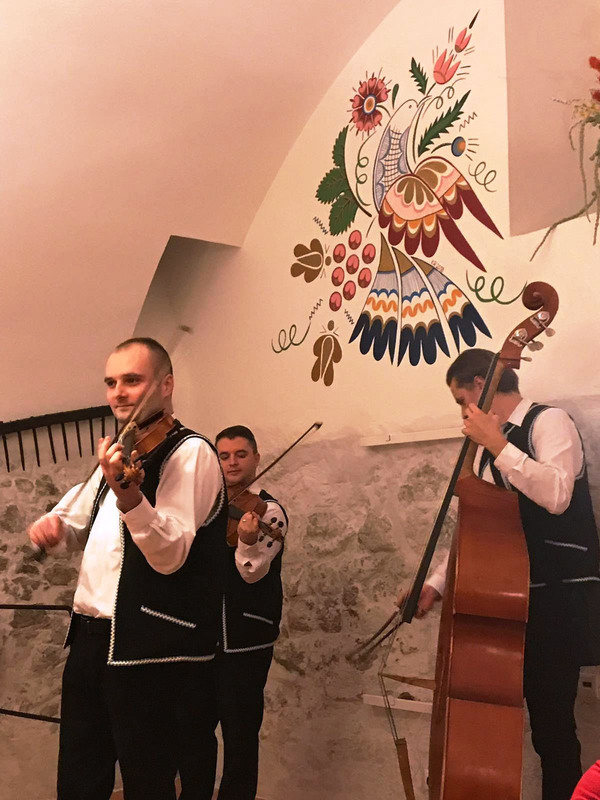 During the 2-hour show, our excellent musicians, singers and dancers, dressed in a Slovakian folk garments, will play, sing and dance folk songs and dances from distinct regions of Slovakia. Get inspired by their lively and joyful performance and make use of the opportunity to participate in the actively. 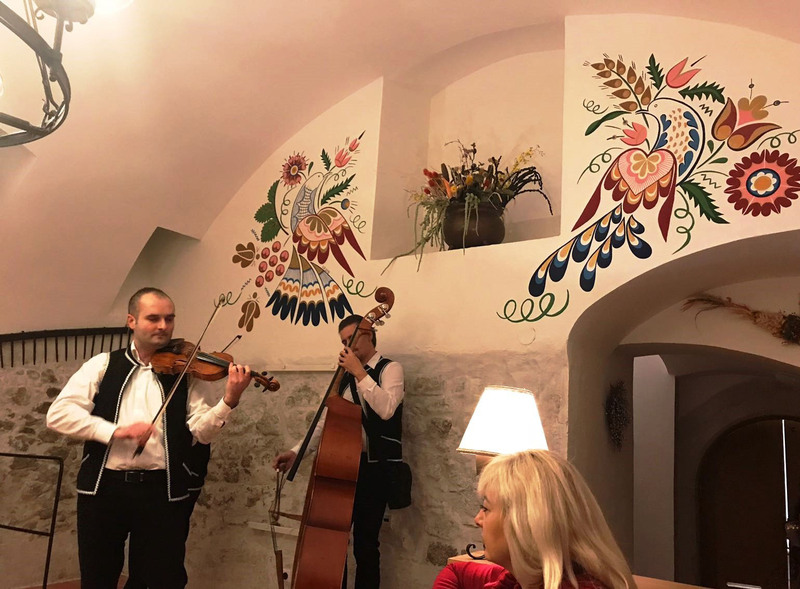 Sing and dance with us - Our singers and dancers will teach you simple Slovak folk songs and dances. At the end of the evening, we would love to play “your song” - We can play songs from almost every country. The show include a traditional Slovak menu, prepared by the original recipes of our grandmothers. The food is served in the central portion of each table, creating the atmosphere of a popular feast. Also, you can enjoy an unlimited amount of quality Slovak wine, beer and non-alcoholic beverages. Our main goal is to use the merry music, singing and dancing, to provide our guests the opportunity to enjoy and relax in a pleasant cheerful atmosphere and enjoy an unforgettable experience. We are located in the centre of Bratislava, right past the Michaelʼs tower direction the Old Town on the left. You can use a nice walk in the historical centre to reach us or you can choose to arrive by car or bus at Hurbanovo Námestie, from where it only takes 2 minutes of walking down the Michalská street. 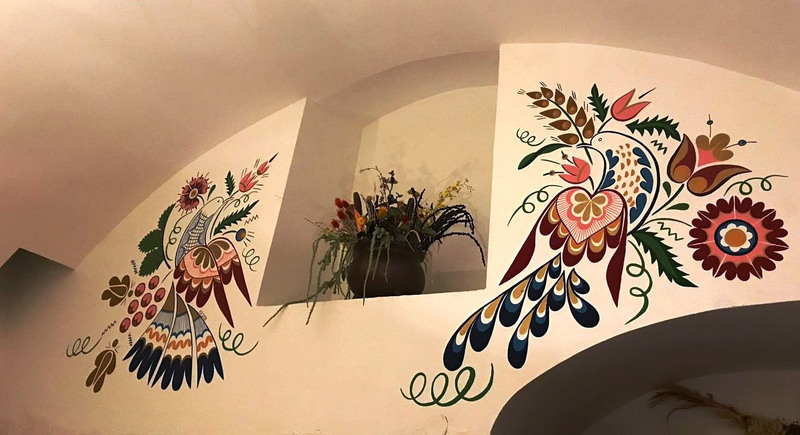 The special atmosphere of the original vaulted cellar is complemented with original paintings of Vajnorian ornaments, traditional wooden and metal objects, and ceramics. Our menu is made up of elements and recipes of the traditional Slovak cuisine. The show, food, and entertainment are also suitable for families with children. The admission for children under 2 years of age is free, reduced admission for children aged 2 to 12. Access for disabled guests using a lift.